The successful teaching of an introductory course in comparative politics or comparative government--as any instructor will agree involves the presentation of information organized around a coherent framework. Therefore, to be effective, a textbook must provide an articulate, methodical structure that no clarifies basic information but also makes it relevant and vital for the student. The Process of Politics is just such a book carefully chosen material; intellectual coherence and stylistic clarity are the prime characteristics of this core volume in comparative politics. Here, the significant data of comparative research are tied in with the continuing study of political systems. 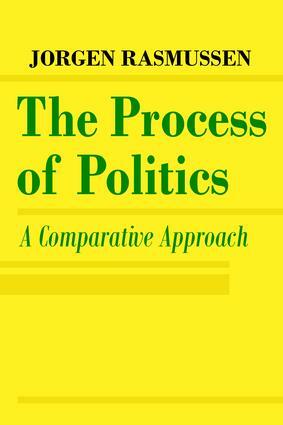 Throughout, a wealth of substantive material illustrates the author's theoretical perspective, so that while concentrating on existing cross-national relations and behavior patterns, the student discovers both the unique qualities of a given political system and the shared patterns common to all political systems. The Process of Politics can be adapted to any preferred method of instruction. For example, with a country-by-country approach, it can be used as an introduction to the overall field and the findings it presents can serve as models against which politics in each country may be compared. Similarly, instructors who choose the functional approach can use the book to introduce the primary governmental functions as they are performed in various political settings. The Process of Politics stimulates the student's interest in the comparative approach by emphasizing the characteristics of sound research, examining the potentialities and deficiencies of structural functionalism, and demonstrating the need for greater integration of research in this exciting and rapidly growing area.